We took a train from Paris to Versailles. I want to say that it took about 45 minutes, but don’t hold me to that since it’s been a few years. When we arrived we started to walk over and were told that they weren’t giving tours that day because of the rain. We took our time and walked over anyway and were pleasantly surprised that the official looking lady by the train station had been wrong. The ‘home’ was over-the-top opulence as you would expect and the gardens were so perfect that even the intermittent showers couldn’t diminish them. I wish we’d had a whole, sunny day to discover all the nooks and crannies. We did the same thing. We were in Paris September of 2011 and took the train to Versailles. It was amazing. A must see if you’ve got the time for sure. 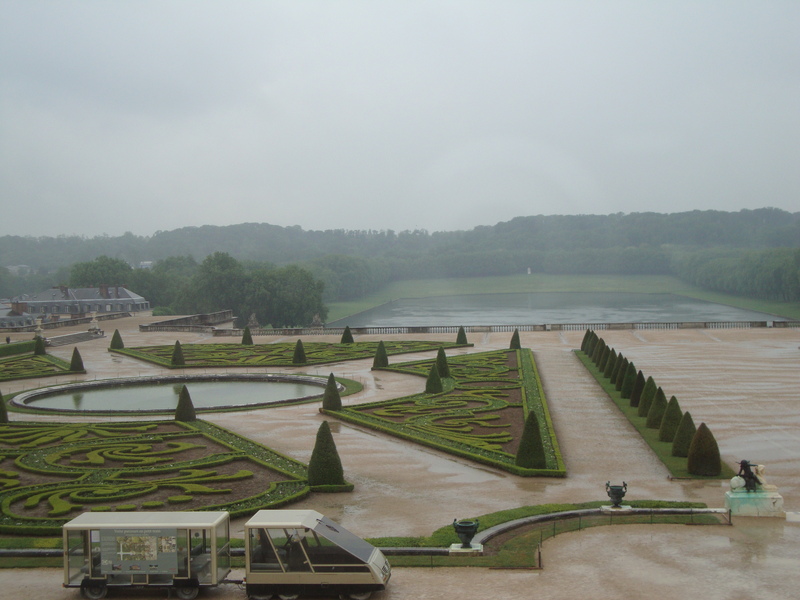 Yes, my sister planned a trip to Versailles for us when we visited France three years ago. We spent our time in the gardens. It was a Sunday afternoon and they had music playing throughout the gardens. Lovely! 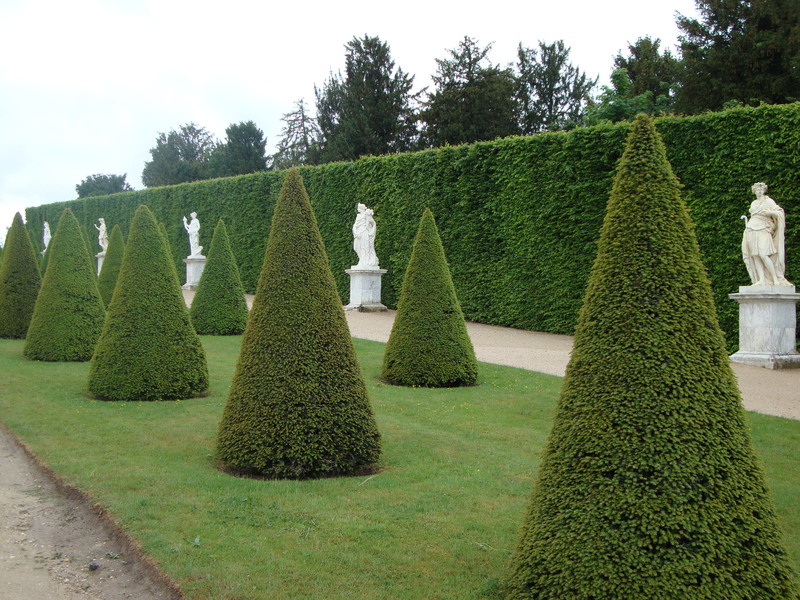 I was amazed at how large and varied the gardens were. What fun pics! I have never been there…. Yes, I’ve loved everything (especially the ease of train travel) about Europe during our two trips there. 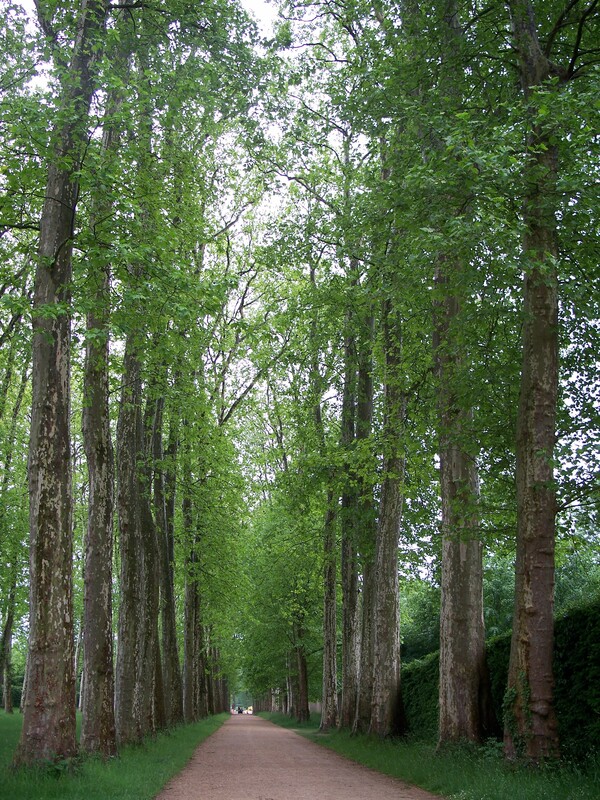 Love the path fringed by the tall trees, and the pic of Jason is great! The trees are my favorite too. Well, technically Jason is my favorite. Doesn’t he look like he could be an umbrella model? Great photos, so glad you were able to see something wonderful, inspite of the weather. 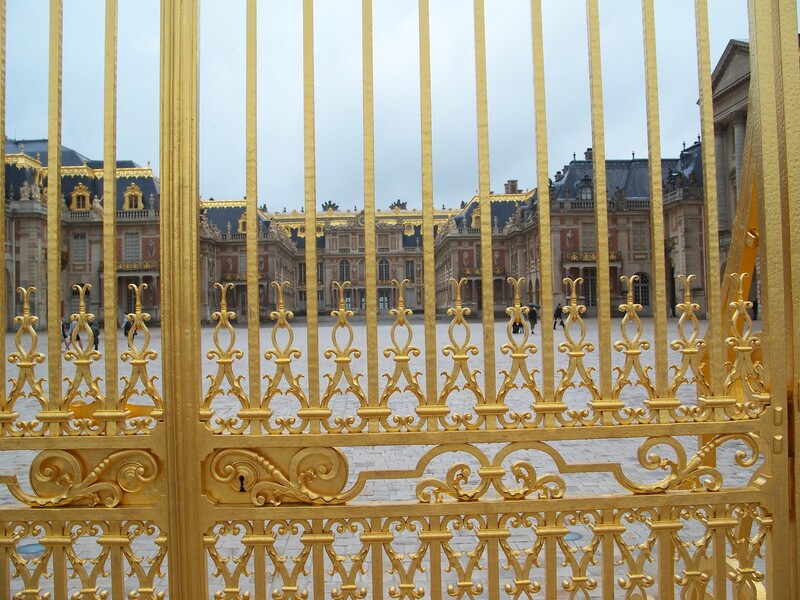 I think I need to go back to France since we never made it to Versailles. Very pretty even with the gray skies. I know, right? Beautiful place. Lovely photos! I went there on my honeymoon, so brought back some lovely memories. 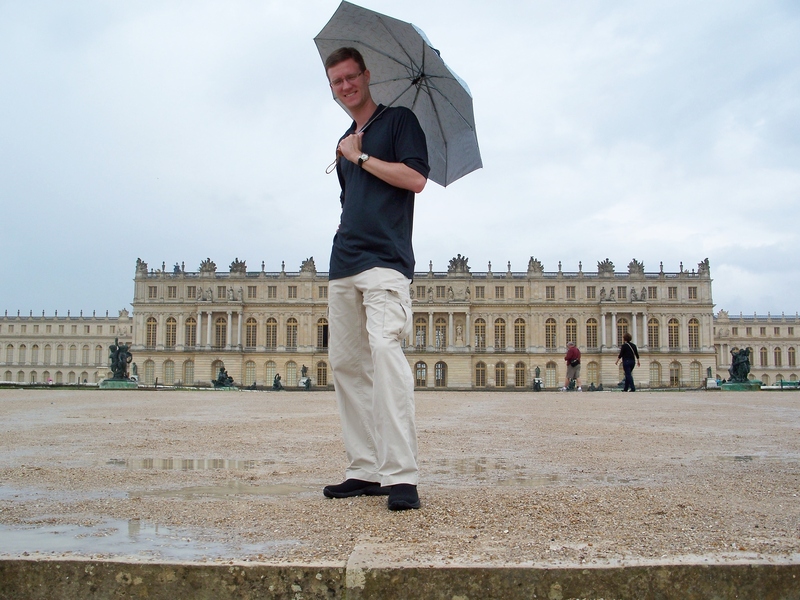 I visited Versailles when I was a teenager and really enjoyed it. I would love to go back sometime. I’d go back to spend more time exploring! These are beautiful shots even in the rain. Thanks for sharing! The rain just made it even more worth it. Gorgeous! I love all of these beautiful Paris pics! This is exactly the kind of things we love to see when we travel. I have to put this one on the list! 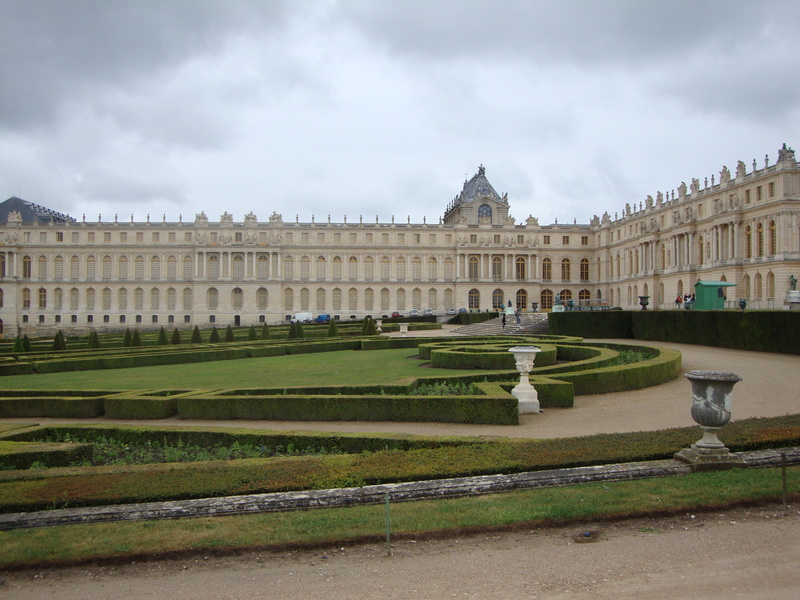 I’ve been to Versailles on each of my three visits to France, and do love it. I’ve never seen it cold and rainy though- or empty! That was the biggest surprise of your photos. So pretty!!! I’m making a Paris dream board this summer!! 🙂 I just caught your new header wording…and a boy!! Love it! so beautiful!!! 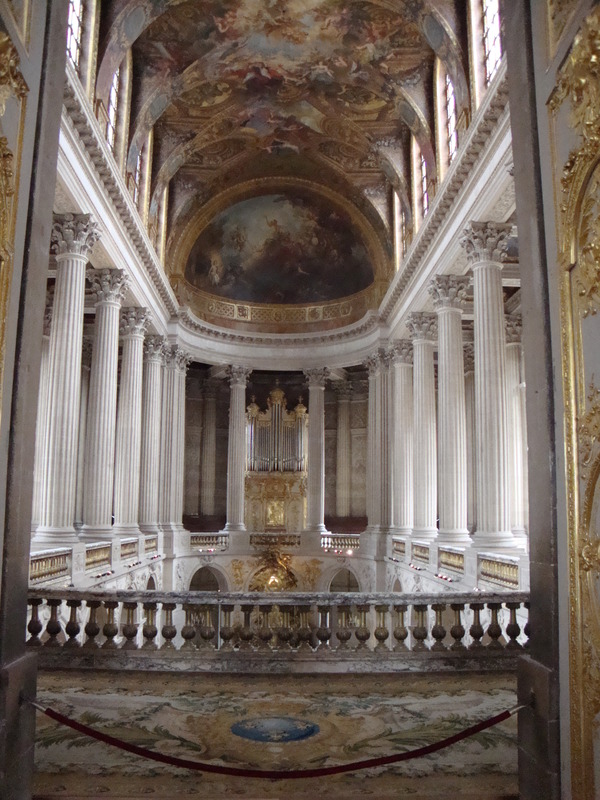 I love Versailles.